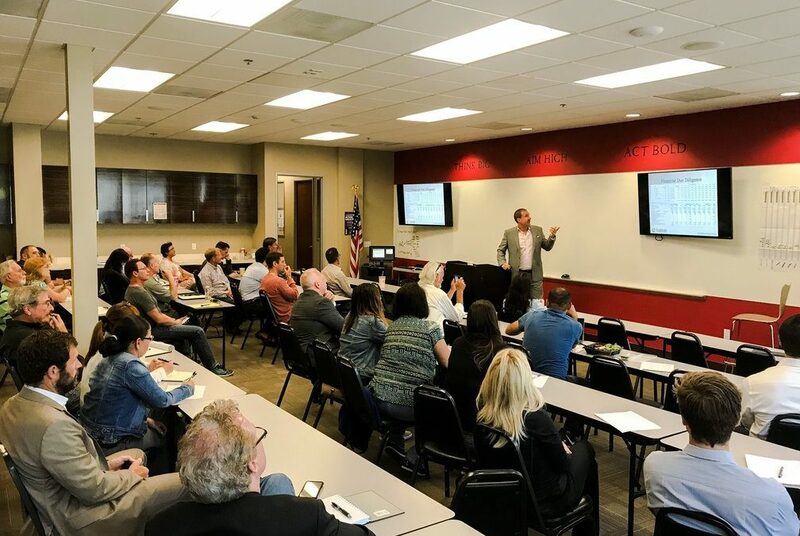 After having a great discussion during my last class on Commercial Real Estate Due Diligence, I wanted to take this opportunity to share with you some of the key takeaways. This article is intended mainly for apartments/multi-family, however many of the same principles will apply across different areas of commercial real estate. I’ll start with a brief overview, then dive into each topic a bit more, and finally leave you with my powerpoint presentation that gives an overview of the topics I covered in my class. It is my hope you will add many of these ideas to your property analysis toolkit. 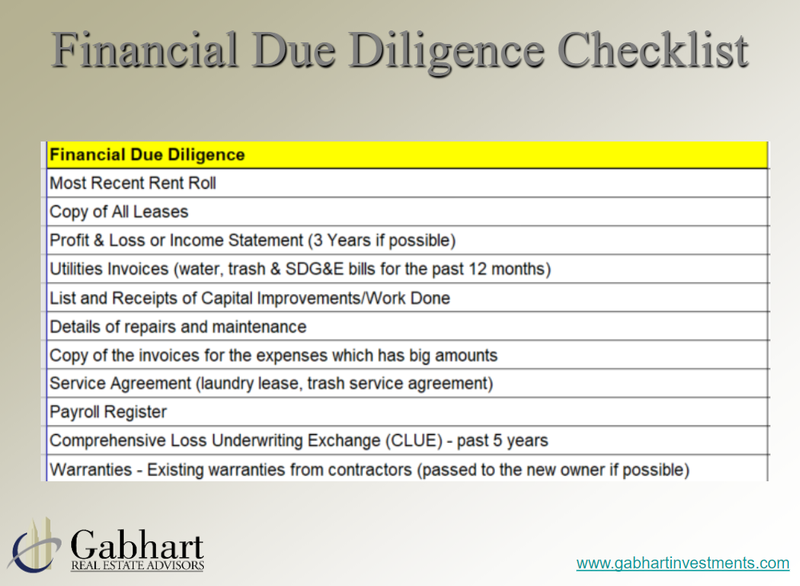 Due Diligence is a necessary part of any real estate transaction. It is the process of examining a property, related documents, and procedures conducted by or for the potential lender or purchaser to reduce risk. Applying a consistent standard of inspection and investigation to determine whether actual conditions reflect the information represented. The process by which you confirm that all of the facts of a deal are as they have been represented to you by the seller. Conducting proper due diligence can be the difference between turning a profit or suffering a financial loss in a real estate transaction. If you’re new to commercial real estate transactions, I recommend that you consider bringing in someone with more knowledge. It’s OK to admit you need help. Getting help from an experienced commercial real estate broker can add a lot more money to your pocket and make the process much easier for all parties involved. Once you’ve found your target property, begin by requesting all of the information in the seller’s possession (expense reports, property records, profit and loss statements, etc…). 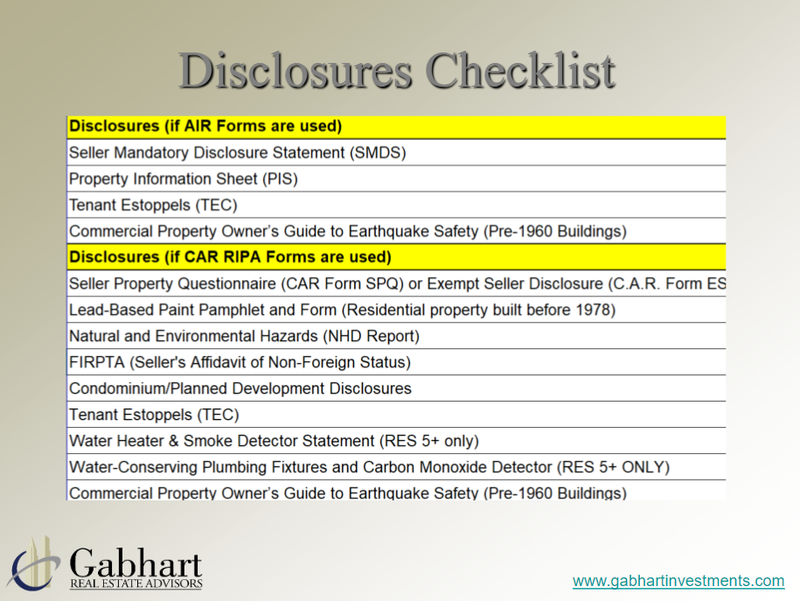 Often you will find on smaller to mid-sized apartment buildings that owners do not keep detailed records. This means you will need to do a little more investigating to get the accurate expense numbers. Talk to the current tenants about things that are wrong with the building. Ask how long have they been there, if they are happy with things, what’s the neighborhood like, etc.… Current tenants can be a tremendous resource for learning about a property. If there is a current property management company in place, ask the tenants how responsive they are to their needs. A lot of times it’s easier to keep the same management company in place for the first few months of acquisition if they are doing a good job. Talk with the maintenance people about matters not tended to or problems that will have to be fixed in the future. They are often going to be more honest than a seller would about the actual condition of the property. Review the profit and loss statements (P&L). Make sure you pay extra attention to any areas where significant gains or losses occurred and try to spot any discrepancies. Underwrite the property. Never take a seller and brokers provided pro forma at face value. Their numbers are usually a smaller look at the property and might not reflect how the financial performance of the property in a few years time. 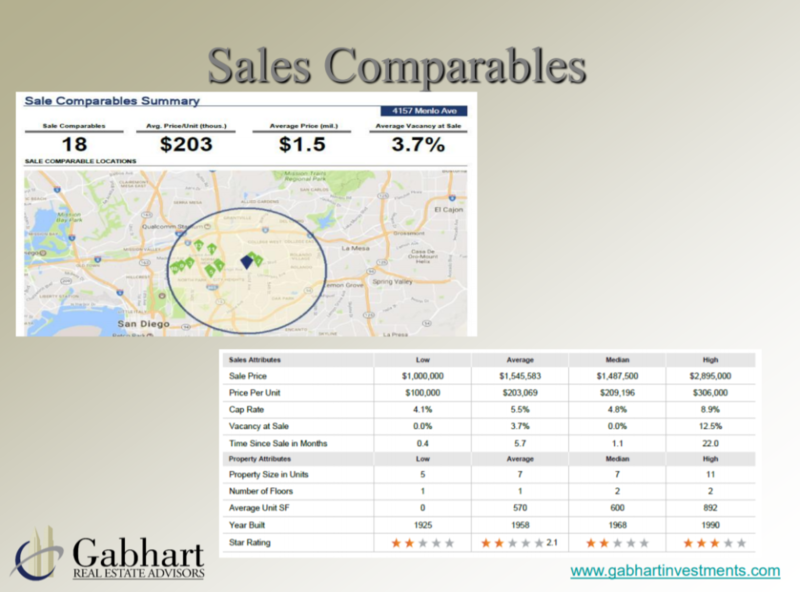 Look at rent and sales comparable in the area. Since your evaluation of the property will depend upon income today and tomorrow, the accuracy of the historical data, as well as the validity of projections, will significantly alter your potential financial return. 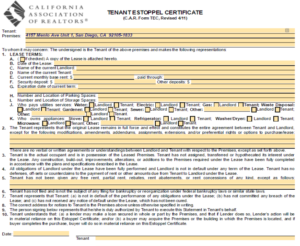 Look into the rent roll and leases including the terms, deposits, and payment history. Get written confirmation or an Estoppel Certificate from the tenants if you can’t read the document or if the statements are unclear. Cross check the rent roll against the income statement. Get a lease abstract. This is a summary of the essential financial, business and legal information that exists in a commercial real estate lease. It should bring to the reader’s attention any important lease provisions, financial obligations or other issues of importance. Always add your property management fees back into your expenses. Quite often, the current owner could be managing it and won’t factor that cost into their expenses, which could make the NOI appear higher than it would be if you bought it. 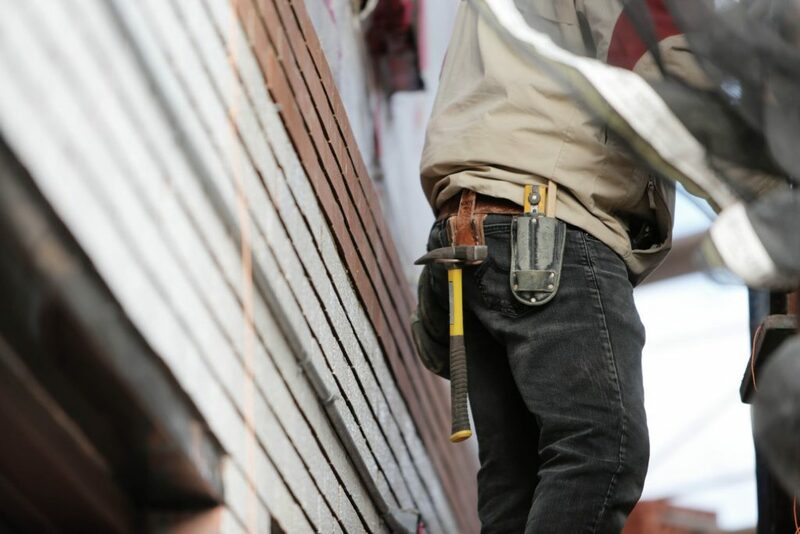 Reconstruct the financials on your own… add things back like long-term capital improvements (HVAC, electrical, roof, cabinets)… then show how that would affect your financials as you spread those costs out over time. Recommend taking CCIM classes for understanding the financials and underwriting a property. If you’re an expert in the location you’re interested in; you may still feel comfortable buying a property without the expense reports because you’re familiar with what expenses should look like. This is another reason why having an experienced broker could help because sometimes you will find properties that could be good deals but may lack proper financial reports. Make sure you’re comfortable with the deal above all else. Walk every unit. It sounds like common sense but make sure you take a look at everything. Don’t trust the seller/broker to tell you the unit is in perfect condition. As you walk the units, I recommend using a “walkthrough sheet.” I have included a sample in my PowerPoint, which you can find at the end of this blog post. If you would like the full checklist, please let me know if the comments below. As you walk the units, assess the overall condition of them. Take inventory of things that need to be addressed, breaking it into what must be fixed and then a “wish list” of items you’d like to get to eventually. Look for any warning signs or safety concerns. Building inspectors are never a bad thing to have. Often you’ll get your money back in the deal. Here are some necessary things you’ll need. Inspection for building code violations. This is critical for understanding any potential hazards or areas that need immediate addressing. AIR is a leading, member-owned real estate network. From contracts to networking and education, they’ve been helping commercial real estate professionals for years. Developed by top commercial real estate experts, AIR CRE Contracts are recognized as the industry standard, and the most efficient way to close a deal. I highly recommend you look into becoming a member as they offer over 50+ contracts that you can use and edit to your own needs. Learn more by clicking here. Survey, plans and engineering documents, if any, prepared on seller’s behalf or in seller’s possession. Seller is required to disclose if the property is located in a special flood hazard area; potential flooding (inundation) area; very high fire hazard zone; state fire responsibility area; earthquake fault zone; seismic hazard zone; and (iii) disclose any other zone as required by law and provide any additional information needed for those zones. These are satisfied with an NHD Report. Seller has seven days (standard) after acceptance to disclose to the buyer whether the property is a condo minimum or if its located in a planned development or other common interest subdivision. Thank you for taking the time to read this article. I hope you found it helpful. As always, please leave any thoughts or comments below. We hope you will join us for our next class on “Don’t Take Cap Rates At Face Value” on Thursday, May 31st. Stay up to date with all of our upcoming real estate classes by clicking here. We offer one class a month that covers relevant and important commercial real estate topics.